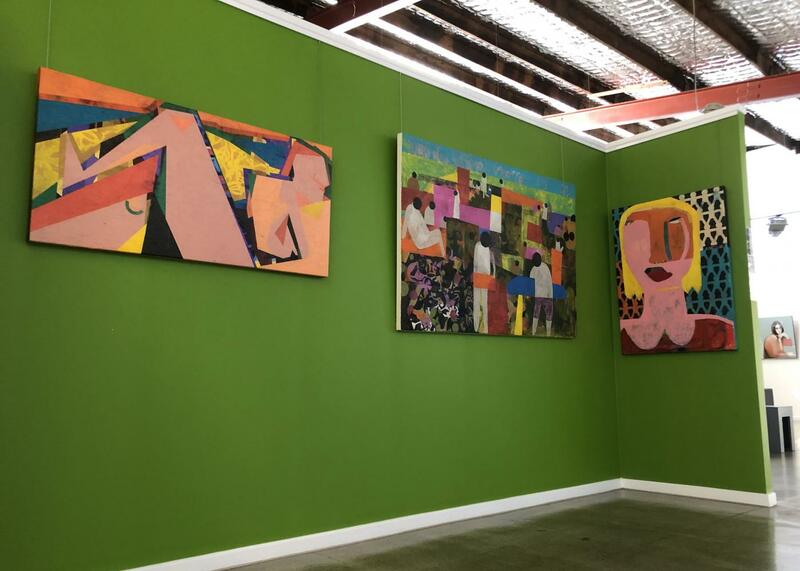 Helen Oprey is an emerging Australian artist known for her layered works celebrating her love of colour and texture, playfully creative, often spontaneous, where different feelings and ideas take her on a carefree and vivid journey. wonderment and mother stress. All these elements combine to influence my art. My paintings are a combination of playful creativity and thoughtful contemplation hoping to capture something both beautiful, and meaningful. I do not plan my paintings but sometimes an idea is prompted by a moment in life which drives me to put paint to canvas. I allow my love of colour and experimentation to take me on a carefree journey before my adult mind takes over. One that must respect that art is an attempt to capture freedom of expression within the confines of balance, harmony and integrity. I therefore use a variety of mediums and techniques in my paintings. I have had a passion for art all my life.